Stephanie talks to us about her career since graduating. What is/was the title of your project? Tidal Resource Assessment of the Little Russel. I am interested in researching and implementing feasible sites for terrestrial and marine renewable energy production, and understanding the challenges our current electrical distribution network faces to implement change. I particularly enjoyed performing a combination of fieldwork and office work which helped to provide me with a greater understanding of the data I was working with and a strong perspective of the wider project goals. On my previous project, I worked in the environmental planning department for Tidal Lagoon Power. I played a pivotal role in the creation of the planning application and environmental impact assessment for the world’s first man made tidal lagoon power generating station. I am pleased to announce that it was granted consent in June 2015, and they hope to start construction soon. As soon as I graduated I was awarded an internship with Ramboll Environ as an Environmental Consultant. Since then I have worked for marine renewable energy developers and engineering firms performing feasibility studies, environmental assessments, and many projects utilizing Graphical Information Systems (GIS). 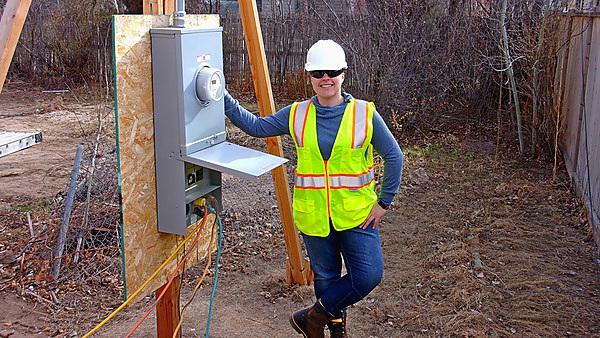 I now live in Colorado, working for EN Engineering on electrical transmission projects. However, I hope to move to New Zealand next year to focus on more ocean energy projects, as that’s where my passion is. Take every little opportunity that comes your way and strive for every opportunity that doesn’t! It’s a tough and competitive market out there. When I graduated in 2010 I struggled to get a job, so I decided to return to university and get my masters. I then got a job offer straight away, as did several of my classmates. Do your best to get as much free/paid experience as you can, in addition to your degree. My time at Plymouth University really helped to diversify my skillset and open my eyes to the new technology that was available for marine renewable energy. In addition, I really enjoyed how my assessments were tied to the practical fieldwork that we conducted at the wave hub, and field monitoring conducted out on the RV Falcon Spirit. It helped me to understand the relevance of my papers and the need to perform research. Plymouth University is a great learning environment, located in a fantastic part of the country. I would recommend Plymouth due to its state of the art facilities, computer labs, prime location, excellent teachers, and your ability to perform new and exciting research. Anytime I wanted to take my project in a new direction I always had the support from my mentors, as long as I showed I was also willing to work hard. It sounds like a cliché, but really try hard to make the most of your time at university. As well as partying often, I liked to enjoy travelling around the South West by train, for weekend trips to Cornwall, Falmouth, St Ives, etc. or taking the boat across to Drakes Island for a fresh cider. I also joined Plymouth University Adventure + Expo club and enjoyed rock climbing and caving in the English countryside. Whatever your ambitions, try and find a good balance between social activities and studying; your brain and body will be much happier for it! For more information about our range of marine science courses within the School of Biological and Marine Sciences, please visit the school page.